GDPR: Your Guide to GDPR, What you need to know. On May 25th the new GDPR regulations come into force in the UK. These regulations apply to every organisation big and small that process personal information in any way. From HR records to Marketing lists, from customer records to internal IT Systems. GDPR will replace the existing Data Protection Act bringing new rights for the people you hold information about and new responsibilities for organisations that process that information. GDPR also brings greatly increased penalties for breaching its regulations. A buisiness can be fined upto €20,000,000 or upto 4% of the worldwide annual turnover, whatever is the largest. 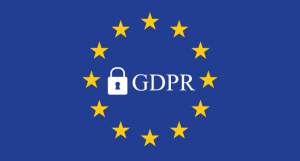 Simplisys has been researching the impact of GDPR and developed a set of papers breaking down the GDPR into easy to digest topics and have developed a toolkit to help enable organisations move towards fulfilling their obligations under the new regulations. We hope that these bite sized explanations of how GDPR will impact your business has helped you understand the impact that the regulations will have and begin your journey to compliance. Simplisys offer a one day workshop that cover these areas so you can bring your team up to speed in this important and area of compliance. Including a copy of the GDPR toolkit, developed by Simplisys, and instruction in its use. The workshop is suitable for senior and departmental managers or anybody responsible for data security or policy. If you would like to arrange a workshop or have any other questions about our services please contact us.